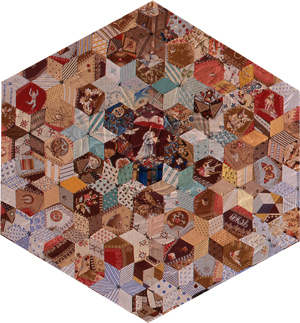 This quilt was design to create pop out three-dimensional images of box or star using combinations of rhombic. Light and dark fabrics were used in a repeated arrangement throughout construction to give the three dimensional look. Depending on the distance where you are looking at this quilt, its mosaic design looks like a kaleidoscope or flow in whirls. 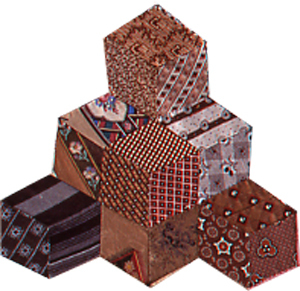 Tumbling block is also called as Baby block quilt and is familiar among quilters.